Having a good background information about a media representative is the first step in building trust. Naabiae Nenu-B is the founder of Xycinews Media. He is a young determined Nigerian with great web and innovative skills. 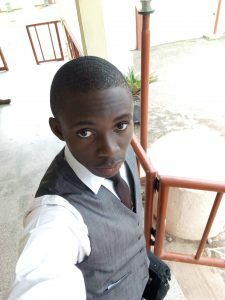 Popularly called ‘The Blogger Scientist’, my zeal for blogging is demonstrated from the establishment of Xycinews Media to share to the world unique and well researched reviews and secrets. Nenu-B is either capturing amazing moments with his camera, blogging with his gadgets, or maybe trying out some scientific experiments. Nenu-B has once being nominated in Top 18 Youngest Bloggers In Nigeria. Also, has being mentioned as Blogger of the Week on the Nigerian WapForum Platform. 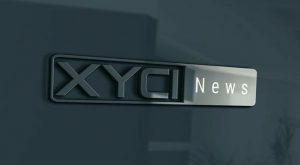 Xycinews.com is a blog aiming to be Africa’s Number 1 leak and Review Site. 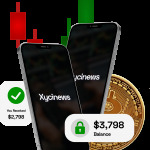 Below is a brief description of Xycinews Blog Post Categories. Review – You will find lot of fake online schemes the has being deeply investigated and declared scam or legit in this section. Leaks – Once a site is suspected to be scam, we investigate the scammer behind it and leak it in this category. Also, this section exposed deep web Informations hard to easily find. Science – For lovers of science and tech, this category exposes top science Informations and tech news. Health – Knowing about Fitness Tips and Disease Control Method is an important necessity for all. This section discusses about the world’s health issues and control. Top5 – After an online survey, this section was introduced to Xycinews.com. Interestingly, so many users have enjoyed reading the world’s Top5 listing from this section. Poems and Tales – Tales last long in our mind. Poems helps us express our innermost deep feelings. Read hilarious, amazing, suspence filled stories from this category. Lifestyle – Trending news, fashion updates, icon biography, trending secret and many more features in this category. You will certainly love reading from here. Obviously, am rest assured you will love to spend some of your quality time reading articles from your favorite categories. Lastly, Xycinews Media won the Wapforum Best Review and Leak Blog of 2018. I consider this as a motivation to work harder and publish great reviews and leaks too. Amazingly, Xycinews media is know for writing unique blog articles. We do not copy other persons post. Contact Us to write unique SEO articles for you. And also, to get our Social Handle Direct Links. For Advertisements and Sponsored Post, feel free to see our negotiable price list. Do you want to learn SEO? You may not need our service at the moment, but someone may want it desperately now. Please Share This Article .